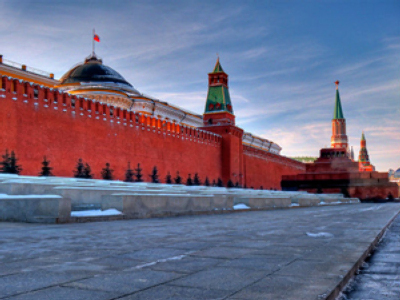 What challenges face the new mayor of Moscow and how is it different from New York? Will the native of a remote oil-rich region be able to solve the Russian capital’s problems? President Medvedev has selected Sergey Sobyanin as his preferred candidate for the Moscow mayoral post and has submitted it to the Moscow Duma, which is going to approve it this week. Georgy Bovt, a journalist and politician, shares his views about how to regulate the work of Moscow’s traffic signals, create a system of penalties for illegal parking and improve the work of the utilities sector – a mammoth task for a politician who has worked at a federal level – while the question of whether opposition activists should be allowed to rally on Triumfalnaya Square is just a routine task of governing bodies. RT: Was Sobyanin’s appointment to the mayor’s post predictable in some way? 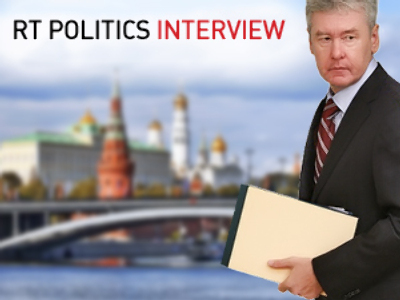 Georgy Bovt:Well, Sobyanin definitely wasn’t a big surprise as a candidate. Most experts believed he would be selected for the mayor’s post, although the pause that preceded his appointment was suspicious. The stylistics of modern policy of appointments is such that everything is kept secret until the very last moment. The absence of secrecy, according to some strange custom, is considered to be inadmissible. This time we saw a violation of the old tradition of secrecy, and in the last few days prior to the appointment I even suspected that there would be a candidate other than Sobyanin. But I was wrong in my forecasts. RT: How ideal is this new appointment? GB: We don’t know what kind of other candidates we could have had. 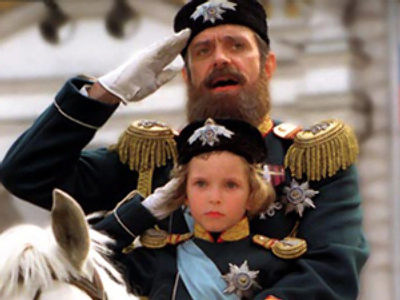 There was a shortlist of people, each of whom could in principle govern Moscow. The question is how adequate this person is going to be to meet the needs of Moscow’s urban economy. Sobyanin is said to have had good experience in governing the Siberian town of Kogalym. He was considered to be a good and quite efficient governor of the Tyumen Region. 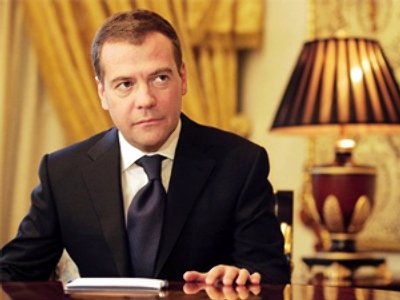 But we should take into account that the Tyumen Region is prosperous in terms of money. In this respect, it certainly resembles Moscow, where lots of money also whirls. But the Moscow that functions as the 21st-Century megapolis needs modern solutions to its problems. 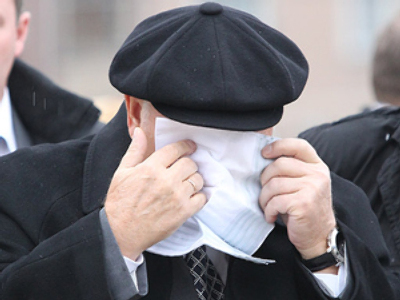 The former mayor, Yuri Luzhkov, was certainly a manager from another era. I would compare him to Nikita Khrushchev [Soviet leader 1953-1964 – RT]. He must have been a person from that time. He even looks like Khrushchev in some ways. 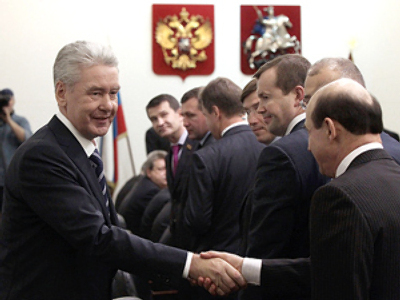 At the moment, I find it hard to say whether Sobyanin is going to be a person of the 21st Century. He was obscure, quiet and modest. It’s so far difficult to say how he is going to run a city economy. RT: You’ve been to New York several times. Have you seen the governing hand of the mayor who runs the city economy? GB: I noticed the mayor’s strong hand under very interesting circumstances. I first visited New York in the early 1990s. There, I stayed in the suburbs of Harlem. It was an absolutely terrible place. My friend and I attended classes nearby and were the only white people in the whole neighborhood. We were also the only ones who bought food for money rather than coupons at the local food store. We were afraid of walking through Harlem at night. Despite the fact that we were dressed poorly, a local attacked my friend with a knife right at the moment when he was about to go to the theater. My next visit to New York was fifteen years later, and I can tell you that I didn’t recognize the city at all. It looked totally different. In my time, 42nd Avenue was still the breeding-ground for prostitution and lechery, although it already started getting better. Now, it’s an absolutely decent place. In fact, “the area of decent places” has significantly expanded in New York. Even Harlem, with its unbelievable crime rate, has become a much better place. The former mayor of the New York City, Rudy Giuliani, proclaimed a policy of “zero tolerance”, which meant that the smallest offence had to be punished. A group of teenagers who merrily walk down the street should be arrested if they strike other pedestrians, because if they go with impunity they are going to smash a window the next time and will eventually cut someone with a knife. Moscow also needs some competent solutions. RT: Moscow doesn’t have a Harlem. A policeman is not going to block your way if you get out of the Metro in the wrong place. Indeed, Moscow doesn’t have neighborhoods of total poverty like in New York or in an area close to the White House in Washington. GB:I believe that Moscow has plenty of “small” Harlems. They may not necessarily be in the city center. Everything in Moscow is inter-mixed. It doesn’t have a one hundred per cent decent neighborhood, because people with various social statuses and of different ethnicities can reside in one and the same district. For example, I live in the center of Moscow. 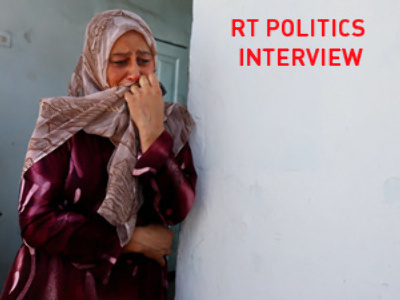 Hundreds of “guest workers” live in an abandoned building nearby. They’ve turned the local yard into an Uzbek or Kyrgyz "garden” I would say. A very suspicious smell comes from there and sweet smoke hangs in the air. So, as you see, each place has its own Harlem. It’s even more difficult in Moscow in this respect. The fact that here everything is intertwined makes solutions more complicated. RT: Do you think that it would be better to divide the city into ethnic and social ghettos? 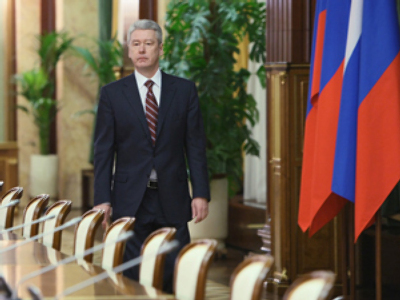 Is that the 21st Century task which Sobyanin will have to solve? GB: No, I wouldn’t want any ghettoes. But if we compare Moscow to New York, the situation in New York is clearer. There are neighborhoods where ordinary people shouldn’t go, while in Moscow it’s possible to run into trouble in any district. RT: How would you outline priorities for the new mayor? What should his primary task be? GB:I think that he should create an efficient parking service that would see whether cars are parked in the right manner in the first place. The Moscow towing service has been totally inefficient until recently from the point of view of organization of road traffic. They meet their daily targets by towing 400 illegally parked cars but they fail to unload the street traffic because our people are such that they would immediately park a car in a spare place as soon as the tow-truck removes someone’s illegally parked car. The parking service staff should put a fine receipt under the windscreen of every illegally-parked car, but instead of 100 rubles [$3], the size of this fine should exceed 1,000 or even 3,000 rubles. They should put all this information into a computer and exercise strict control over whether these fines have been paid. That would discipline the people somehow. The second immediate task of the new mayor will be to revise urban planning norms, which provide for the construction of offices in the city center in a way that one parking place in an underground garage was meant for almost ten persons. It’s not right. Moscow should build more of these parking lots for a larger number of cars. RT: Do these management problems lend themselves to a solution? GB: Naturally, the program is not all that complicated. But can you imagine what’s going to happen when our lady workers, who will be obliged to put fine receipts on the window screens, try to reach an agreement with drivers that they are not going to impose a fine on them if they pay? RT: Apart from drivers who are unwilling to observe traffic rules and pay fines, what other task will the new mayor face? GB:There are too many offices in the center of Moscow. The mayor should carry out a revision to see which of these buildings are the result of high-rise development and should therefore be pulled down. The rules of high-rise development should undergo revision so that nothing of the kind should ever appear in the city. A lot should be done in organizing the road traffic. Since the 1970s, there have been plans to organize a “green wave” on highways. It would be good if it had appeared at least on some roads. After all, a new millennium has started. There should be “pockets” for public transport. At present, this public transport stops in the right lane, completely blocking all traffic. The system of road signs should also be revised. Many of them are subject to question. The Moscow authorities should expand space for turns and merge-lanes for cars. Many things on Moscow roads have been done with the mentality of a Khrushchev-style manager. RT: Moscow has protest groups that have been outraged by the existing ban to rally wherever they like. Will the new mayor allow them to do it? GB: This is not the most important problem for the mayor. Moscow has just a handful of protesters, aWhat tasks are facing the mayor of Moscow? thousand people at best. As soon as they are allowed to rally on Triumfalnaya Square, their number will drop to 500. Vladislav Surkov [deputy Kremlin administration chief –RT] has said in an interview on Sobyanin’s appointment that he didn’t see any problem in allowing the opposition gathering on Triumfalnaya Square. Let them gather, he said. The utilities sector is a far more important problem. It’s riddled with corruption. Luzhkov used to say that Muscovites paid 60 per cent of their utility bills, while the price for utility services kept rising. 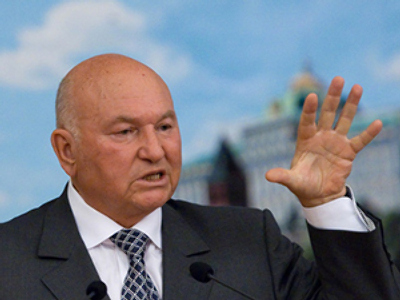 But Luzhkov continued to say that the Muscovites paid just 60 per cent for their utilities. Something must be wrong with tariffs and heat and water consumption. There’s a lot of stealing there and we should put an end to it. The so-called false homeowners’ associations also pose a serious problem. The Moscow authorities ordered their establishment, taking advantage of the passive behavior of Moscow residents. These associations have also sunk to plundering. So the new mayor will have to solve a lot of purely urban problems. RT: In other words, the authorities wish the new mayor to tackle problems of urban development rather than become a political figure? GB:If he succeeds in solving part of these problems, he will automatically turn into a political figure. If we see at least a little bit of effective and efficient management, it’s going to be totally different from what we saw before and from the widespread model of urban management. Such a person will definitely draw attention.